Fondation Vasarely was established in 1966 by op artist Victor Vasarely, who wanted to build a center "to promote his ideas of 'art for all' and of the 'city of tomorrow". The building is made up of 16 hexagons that form seven cells that house Vasarely’s 42 architectonic installations. Vasarely deemed the building a "Lumino-kinetic" sculpture—a synthesis between architecture and plastic art—that provides visitors with a series of playful optical illusions. The huge installations, housed in differently themed rooms, envelope the viewer in shapes, colors, volumes and different perspectives. 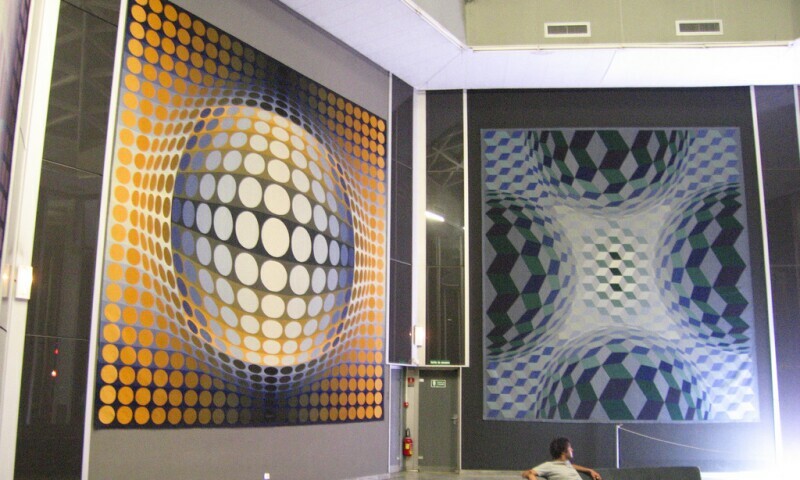 Fondation Vasarely also hosts temporary exhibitions throughout the year as well as lectures, concerts, and artist forums.